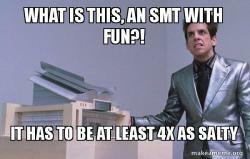 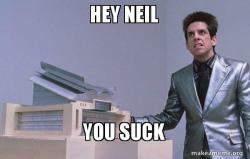 From the great 2001 Ben Stiller movie, "Zoolander", comes this great line. 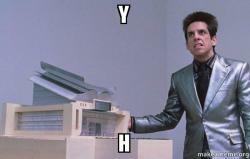 Zoolander is shown a scale model of a proposed center for learning, his reaction to which is: "What is this .. A center for ants?!" 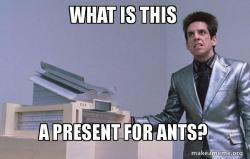 And so we have an easily relatable meme for expressing surprise at something that is smaller than we expected.